When Johnny Cash hosted his own variety show for two seasons on ABC in the early Seventies, each episode incorporated the feel of inviting viewers into the Cash home, with his new bride, June Carter Cash, and her mother and sisters, who performed as the Carter Family, singing along with the Man in Black each week. On a show that originally aired Christmas Day 1970, Cash and family, including his parents, brother Tommy and the country legend’s nine-moth-old son John Carter Cash, were joined by guests including comedian George Gobel, Opry star Minnie Pearl, the Everly Brothers and the Cash’s neighbor, rock & roll icon Roy Orbison, who was making a return appearance to the show. Penned by Willie Nelson late in 1963, the song was inspired by an encounter with an amputee selling pencils and wrapping paper outside a department store. The following November it became the first track the future Hall of Fame entertainer would cut at RCA’s historic Studio B after signing a record deal with the label. But by that time, the song had already been a bona fide hit, as Orbison’s version entered the pop Top 20 during the 1963 holiday season, as the country was grieving the assassination of President John F. Kennedy. Perfectly suited to Orbison’s dramatic but never maudlin singing style, “Pretty Paper” will forever be one of the songs most associated with the late vocalist. 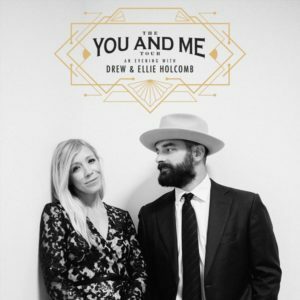 But in the years since its release, the song has been covered by dozens of additional artists including Glen Campbell, Marty Robbins, Kenny Chesney, Randy Travis, Pam Tillis, Julie Roberts, Don McLean, Carly Simon, Chris Isaak, Robert Ellis and the Lumineers. The Christmas 1970 episode of the Johnny Cash Show will air Sunday, December 23rd, at 10:00 p.m. ET on GetTV, followed immediately by a 1977 Christmas special featuring Cash and Orbison along with Roy Clark, Carl Perkins and Jerry Lee Lewis. On August 15, 1961, Patsy Cline recorded Willie Nelson’s song, ‘Crazy’ for Decca Records. She introduced the song at the Grand Ole Opery on October 14th of that year, and received three standing ovations for the song. Decca released “Crazy” on October 16th, 1961, an dit became a #2 country music hit and a #9 pop music hit. “The reason I love Willie Nelson is simple: when he sings, I believe him. I share his love of a good melody and relate to his tales of loneliness and heartbreak but also to his optimism, longevity and no nonsense approach”. Linda Bull, one half of the luminous Bull Sisters, stars in a new, collaborative show featuring the songs of the Red Headed Stranger. Willie Nelson’s classic 1978 album, Stardust, is an unforgettable collection of pop standards reworked in Willie’s inimitable way and produced by Memphis legend, Booker T Jones. The album charted for ten years, achieved quadruple platinum certification, and won Willie a Grammy Award for his soul filled rendition of Georgia on my Mind. Linda Bull is one of Australia’s most soulful vocalists and interpreter of songs in her own right as well as being a big Willie Nelson fan. 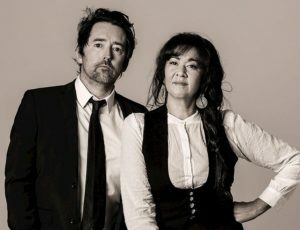 Her special guest vocalist, Sime Nugent, has toured nationally and internationally throughout Australia, Europe and America and released more than a dozen albums with a range of bands in his 20 year career including indie folk duo Sweet Jean and three time ARIA nominated band, The Wilson Pickers. Channeling Willie and capturing the essence of the songs from Stardust, Linda and Sime will take audiences on a journey through this timeless album including ‘Georgia On My Mind’, ‘All Of Me’ and ‘Unchained Melody’, together with a selection of hand-picked Shotgun Willie signature songs including ‘Always On My Mind’, ‘Blue Eyes Crying in the Rain’, ‘Crazy’, ‘On the Road Again’, ‘Help Me Make It Through the Night’ and many more. Backed by The Red Headed Strangers, a superb band lead by Cameron Bruce (MD/keys) and featuring some of Australia’s most in demand musicians including Shane Reilly (guitar/pedal steel), Bill McDonald (bass) and Pete Luscombe (drums), as well as special guest Sime Nugent (guitar) who’ll share vocal duties on the night, this will be a must-see show for every music fan. For 30 years, the glorious voice of Linda Bull has comprised one of the most distinctive, versatile and emotionally charged sounds on the Australian music landscape. Since a multi- platinum conquest of pop radio with The Black Sorrows in the late 1980s, Linda has forged a diverse pathway into soul, gospel, blues, country and the island music of her Tongan ancestry. Her rich solo vocals and instinctive harmonies have spawned eight albums with her sister Vika, as well as studio and concert performances with Paul Kelly, Kasey Chambers, RocKwiz and C.W. Stoneking. Linda is currently working with Vika on their first album of original material in 18 years. Thank you Steve Eschenberg for sharing this video of Clint Black channeling Willie Nelson. Dallas Wayne is releasing a follow-up to his collection of classic country covers, and he’s sharing his thoughts on one of the tracks exclusively with Taste of Country readers. Wayne is a singer-songwriter and the host of SiriusXM Willie’s Roadhouse and Outlaw Country. In the clip above, hear Wayne’s interpretation of “Blame It on the Times,” a song Willie Nelson wrote in 1961 and released in 1978 on his Face of a Fighter album. Wayne puts an even more traditional country slant on his interpretation of Nelson’s song, which appears on Songs the Jukebox Taught Me, Volume 2. Songs the Jukebox Taught Me, Volume 2 is set for release on June 22. It is currently available for pre-order. For more information about Dallas Wayne’s projects and up upcoming tour dates, please visit his official website.